As NA LCS 2018 Summer Split Week 6 ends, we’re left with even more questions as there remains no clear leader with just a few weeks left before the playoffs. Another weekend of great League of Legends games has come and gone in the NA LCS. With a few more weeks before the regular season ends, each game is becoming more and more important. As of now, no teams are locked in for playoffs yet, and the difference between the 1st place teams and the last place team is four games. Here are my thoughts on NA LCS 2018 Summer Split Week 6. Varus is rising in priority as a bottom lane pick, and potentially even a counter to Azir. Varus is a marksman that has been rising in priority. This is because only his critical strike chance-based build was nerfed, and there are still two viable builds on this champion. There is still the on-hit build with Guinsoo’s Rageblade as its core and the lethality-oriented build. 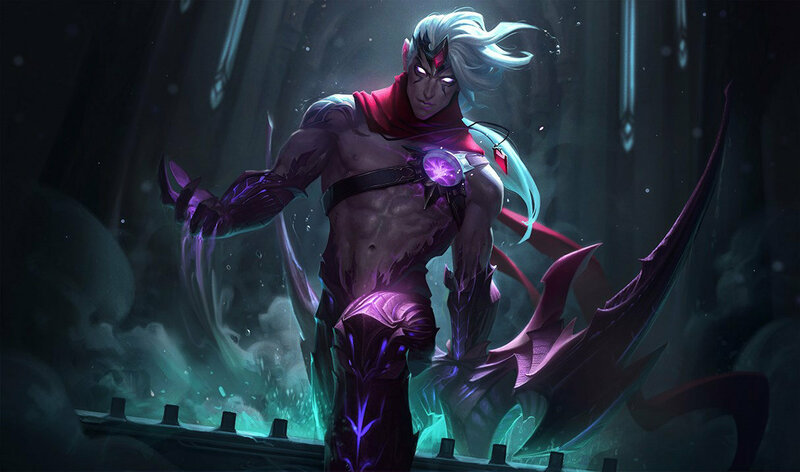 What to build on Varus depends on the matchup, but the lethality-oriented build has been seeing more and more play. Lethality is usually built for squishier opponents, and the on-hit build is usually reserved for front-to-back teamfighting, usually done against tankier opposition. Regardless of build, Varus has lane priority in the bottom lane. His 575 attack range is nothing to scoff at, and he has decent poke because of his Blighted Quiver and Piercing Arrow combo. Because of his poke, and his capability to initiate fights using his ultimate, Varus is a terror when in sieges. If Varus is paired with a support that focuses on protecting him, such as Tahm Kench or the Braum, Varus can be a threat at all stages of the game. Expect more teams to fight over Varus as a priority pick. Can Cloud9 Stage Another Miracle Run? We saw more of Robert “Blaber” Huang in NA LCS 2018 Summer Split Week 6. His solo queue-inspired aggression has been paying off loads for the team. Because of his proactivity, he has been able to get advantages for his laners, most especially Eric “Licorice” Ritchie. However, Blaber still needs to temper his aggression and improve his decision-making to further make the team shine. We saw Zachary “Sneaky” Scuderi on Quinn two games in a row, which has led them to great success. Quinn was untouched by the marksman nerfs, which makes her good into certain matchups, although she does still need some jungle assistance as she is pushed in rather too easily during the laning phase. Sneaky displayed mastery of the Quinn pick— he was able to utilize her ultimate and influence sidelanes, and then rush back into his teammates when they group. He was also able to pull a lot of her combos off for great amounts of burst damage. NA LCS 2018 Summer Split Week 6 saw Cloud9 pull off their first 2-0 this summer. Right now, they are 5-7. With six matches left, they’ll have to win at least four of them to get into the playoffs. But, if some of the middle-of-the-pack teams lose a few games, their chances could improve significantly. Either way, it doesn’t matter how Cloud9 goes to the playoffs, what matters is they make it there. If they do, they can maybe win the split, which will nullify the small number of Championship Points they have by auto-qualifying for Worlds. If they don’t, they can still qualify via the Regional Qualifiers as North America’s third seed. Counter Logic Gaming and Team SoloMid, two of the NA LCS’ oldest organizations, have both been on a 4-match losing streak after NA LCS 2018 Summer Split Week 6. Both teams also currently stand at a 5-7 record, but not for the same reasons. Team SoloMid’s problem is proactivity. They have a tendency to sit back and let the opposing team take advantages. Their usual playstyle relies so much on the opponents making mistakes, which TSM are admittedly good at capitalizing on. But, that hasn’t exactly been the case lately as the team currently looks disjointed in all of their games. Communication seems to be at a very low point because plays do not look precise at all. In most of the games, Alfonso “Mithy” Aguirre Rodriguez would usually engage into the opponents, and the rest of the team aside from Jesper “Zven” Svenningsen would back away instead of backing their support up. Counter Logic Gaming, on the other hand, has often won the early game only to fail to sustain their lead. They seem to have inherited Cloud9’s old issue, only worse. Case in point, in their game against OpTic, they got Aatrox and yet managed to lose with it. Trevor “Stixxay” Hayes, on the other hand, was also able to find success on a Kalista pick even though he was banned out of the best marksmen by 100 Thieves. However, even though they found a great advantage through the bottom lane, Stixxay and the rest of the team weren’t able to snowball enough to get away with the victory. If they can’t get their heads straight, we might only see one of these teams, or even none of them, go to the playoffs. After getting its first ever 2-0 week last week, OpTic Gaming got another 2-0 in NA LCS 2018 Summer Split Week 6. It was not on the back of any cheesy strategies either. Plus, the entirety of the team stepped up and was able to deliver in their specific roles. Niship “Dhokla” Doshi, in particular, has been having career-defining performances in the top lane. In their game against Counter Logic Gaming, he was able to best Darshan’s Aatrox, a must-ban champion, with Fiora, and was able to split push effectively. Matthew “Akaadian” Higginbotham has also been putting forward inspired performances on Graves. His aggression and superb map control have netted many advantages for his team, which allows PowerOfEvil to go forward with his aggressive playstyle. Their bottom lane has been rock solid for the past weeks, and a return to marksmen matchups might prove to be a boon for Noh “Arrow” Dong-hyeon. Aside from individual performances of the team’s members, a noticeable difference in OpTic Gaming’s playstyle with recent weeks is that they have also been capable of decisive macro play. For example, this past weekend, OpTic did not attempt a backdoor, a very risky dive, or did not do a Hail Mary Baron take. The team properly set up vision before taking objectives applied pressure in sidelanes and played around said pressure. If OpTic keeps this up they may be a serious contender in the playoffs. In the last few hours before the trade deadline and roster lock, we saw some movement from the Echo Fox organization. Smoothie was traded in, Lawrence “Lost” Hui was promoted from the Academy roster, and Tanner “Damonte” Damonte was made the permanent starting mid laner. Meanwhile, Adrian “Adrian” Ma, Johnny “Altec” Ru, and Kim “Fenix” Jae-hun were all dropped from the team. Echo Fox’s problems last split usually stemmed from their bottom lane. Because their old bottom lane used to give up lane priority even in matchups that they should be winning, there is a part of the map that the enemy team could exploit. In addition, if Altec was not on his trusty Kalista pick, he would not be quite dependable in team fights and in contesting objectives. With an all-new bottom lane, these problems have disappeared. In recent memory, Echo Fox has always been a little bit hungry for kills that they tend to chase the opponent into their own deaths. The team can count on Smoothie to calm the team down when emotions are running high and help them focus on the remaining objectives and to set up for the next play. The roster change was only last week, and the team has already shown dominant performances in the early game judging from their performance NA LCS 2018 Summer Split Week 6. Hopefully, more practice could ensure that this team stays consistent in the later parts of their matches. There are now only two teams tied for first place after NA LCS 2018 Summer Split Week 6. These teams are Team Liquid, our spring split champions, and 100 Thieves, our spring split runner-up. Team Liquid may have had their usual struggles, but this week, Kim “Olleh” Joo-sung and Yiliang “Doublelift” Peng looked more like a unit. That’s aside from the fact that Doublelift has been able to quell some demons due to him having a better record against Chae “Piglet” Gwang-jin, a matchup where he has struggled historically. The best story about Team Liquid is that they have been able to win a game wherein they were massively behind at first. This is a reassuring sign for the fans, as this means that TL has truly worked on some of their issues, and can be a truly competitive team against the international competition. 100 Thieves, on the other hand, has looked quite the same even when they changed junglers. This is probably due to Neil “pr0lly” Hammad’s coaching. He has always been a macro-focused coach, and 100 Thieves’ map play looks more or less the same. Another notable thing with 100 Thieves is that they seem to always have longer games. A possible reason for this is that the primary carry for the team is usually Cody “Cody Sun” Sun. He is often on marksmen that turn on in the later stages of the game. The team then needs to wait for him to scale so that they could take objectives and force fights. For now, both teams are on the top of the standings, but there are still three weeks to go. With NA LCS 2018 Summer Split Week 6 now finally over, we can only hope that we’ll see some clear playoff contenders next week. 8.14 brought some changes, and while they aren’t that huge, we could finally be seeing some stability in the league. Six games remain for all of the North American teams. Worlds will soon come, and the North America must send its best for the chance to hoist the Summoner’s Cup. What did you think of all the action that happened during NA LCS 2018 Summer Split Week 6? Who do you think will emerge at first place at the end of the split? Let us know in the comment section below!